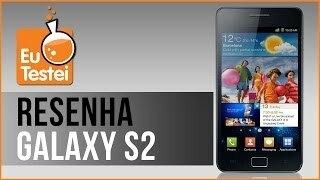 Galaxy S2 is one of the most sold Samsung phones, it began the revolution in the smartphone world. It was one of the best Android phones to own at that time. It had decent hardware that gave a good performance. After almost five years since it has been released, it may not have the specifications as compared to toda flagship devices but it is still a usable device, especially if you are rocking a custom ROM. But due to efforts of developers at XDA, you can now install Android M on your Galaxy S2. Galaxy S2 came installed with Android 2.3.4 Gingerbread back in 2011. Over the years, it received the official updates up to Android 4.1 Jellybean. But no further updates were provided for the device by Samsung due to lacking internals and two-year support for system updates. But again, thanks to XDA developers, Galaxy S2 has received many Android updates in the form of custom ROMs. Well, if you still have the device lying around or perhaps are using it as a daily driver, there is a good news for you. You can now try the latest iteration of Android on your Galaxy S2 by installing CM13. CM13 is a popular custom ROM developed by CyanogenMOd developers, it is basically a customized version of Android just like Touchwiz. CM13 gives you some cool features and an almost stock Android look like a Nexus device. It is based on the latest version of Android, i.e. Android Marshmallow 6.0.1. Marshmallow brings some performance optimizing features with some battery optimizations and some minor visual changes as compared to its previous version Lollipop. App permissions, Doze and Google Now on Tap are some new features introduced in Android M.
To install CM13 on your device, you would need a custom recovery install on your Galaxy S2. So make sure before proceeding with this guide you have a custom recovery installed on your device. Warning: Any harm to your device will only be your responsibility, we or the devs should not be held responsible. Make sure to make ROM/Nandroid backups before installing any custom files on your device, so that you can restore to your previous ROM if something goes wrong. Download CM-13.0-XXXXXXXX-NIGHTLY-i9100.zip from the link given above and copy it to your sd card. Make sure yoe using a KitKat Compatible Recovery. Flash CM-13.0-XXXXXXXX-NIGHTLY-i9100.zip from sd card. (Optional)Now you may flash Google Apps.zip from sd card in a similar manner. Note: If you get an error message when flashing GApps, yoe probably running out of space in your /system partition. It is recommended to have 1GB to fit the ROM and the GApps ( The stock partition table has 512mb for /system). This thread, by gsstudios, has a good guide for repartitioning. Root is disabled by default on CyanogenMod 13. To enable it you will have to go to Settings>Developer Options>Root access and set to Apps only or Apps and ADB. Enjoy the latest version of Android on your Galaxy S2. Do let us know how is it performing on your device. Also, comment down below if you have any question regarding the installation procedure.